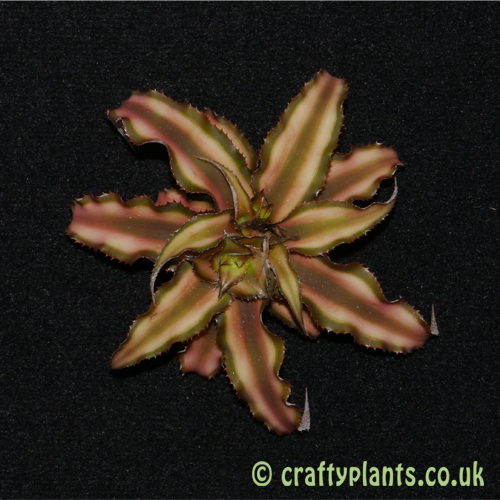 Another member of the bromeliad family, Cryptanthus grow quite happily in much the same conditions as Tillandsias. The name Cryptanthus is derived from the ancient greek words ‘Cryptos’ and ‘Anthos’ meaning Hidden Flower. Commonly known as ‘Earth Stars’, Cryptanthus are native to Brazil where they grow terrestrially, on the forest floor. 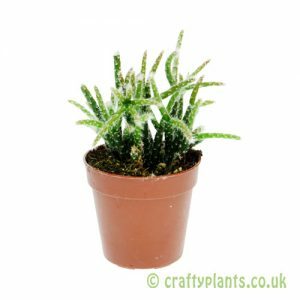 In contrast to Tillandsias, Cryptanthus have a much more developed root system which makes them suitable for growing in pots of free draining compost. Cryptanthus Bivittatus is a compact plant which grows to a maximum size of around 6″ making it an ideal accompaniment to Tillandsias. 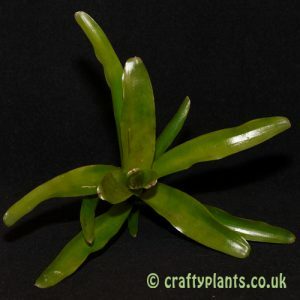 Looks great in larger terrariums as well as mounted onto bogwood or bark, or grown as a pot plant. Bivitattus itself is a combination of the Latin words ‘Bi’ and ‘Vitattus’ meaning Two Stripes. The two pink stripes that run down the leaves of this variety become more vivid around flowering season. Similarly to Tillandsia, Cryptanthus produce ‘pups’ or offsets around the parent plant, which form attractive clumps in only a few seasons. 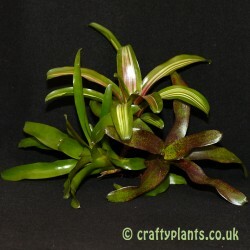 Cryptanthus prefer to be kept in a humid environment, making kitchens and bathrooms ideal. They require regular misting with water and a periodic mist feeding. 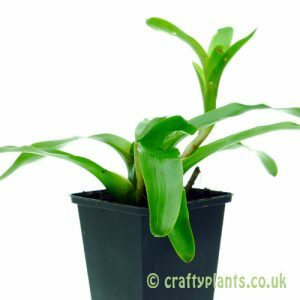 Supplied as 5-8cm wide plants, pot grown in 5.5cm pots.